and a garden of flowers. It seems an unlikely quote for a girl raised blocks from the northern border of Los Angeles. I remember exiting swimming pools as a child with burning eyes and pinched lungs to a brown sky of smog. Even though my family had little money, I experienced big city life when I rode elevators in places like the Bonaventure Hotel and listened to carols on Christmas Eve at the Los Angeles Civic Center. But the warm memories of childhood include accompanying my mother on her “nutrition” talks when she spoke to women’s groups at retreat centers. In the 1970s, before health food was cool, we ate seasonal produce, avoided soft drinks, and made baked goods with whole grains. Many smells transport people back to their childhoods and mine includes the smell of Brewer’s yeast and the traditional health food store. My mother’s commitment to healthy eating and love of quality still greatly impacts my daily life. One of my strongest commitments today is to feed my family local produce, organic milk and meat products, and whole grains as much as possible. This lifestyle that she gave me as a child impacted my husband choice (no kidding!) and played a key role in birthing my passion for tea. When our family moved to Northern California (a 400 mile change for you non-local folks) in 1979 when I was almost eleven, I relished the natural beauty of my new surroundings. My favorite memory of the move involves eating a bowl of cold cereal with my family in the chill of the morning at a state park on the way to our new home. For as long as I can remember, despite my city roots, nature has fueled my passions. Unfortunately, I didn’t relish much else about the transition at a time of life when so much already changes for a budding adolescence. A bookworm at heart, I abandoned scholarly pursuits to chase after boys and listen for hours to the angst-ridden music of the day (Depeche Mode and New Order, anyone?). But I savored my one week at camp in the near-by Santa Cruz Mountains each summer. The overhead stars and still nights blanketed the restless and hurting heart of a young girl trying to find her way. Both of my parents also made their living working with the English language with Mom as a junior high English teacher and my father as a journalist. I grew up writing for fun, winning school writing awards, and keeping a consistent journal. Also fascinated by the complexity of the human behavior and emotion, I went on to graduate in 1991 with a Bachelor of Science in Human Development from the University of California, Davis. It was during this season of time that I met my husband. His roommate dated my roommate and the joke continues that we were the only good thing to come out of their relationship. I dated often, especially in high school, before I met Todd. Good friends for a solid year with many mutual friends, I understand completely when people tell me falling in love was like coming home. He wasn’t a Jeep-driving rock star (what my college roommate and I thought we wanted at the time), but he loved the outdoors, children, and decent restaurants. I knew he’d let me buy our local CSA produce box, once we could! We married at twenty-four when he’d only been a temp worker for one week. “Even though we ain’t got money…I’m so in love with you, honey…” Much of our newlywed year was spent hosting others for meals in our small apartment and learning to cook together. The first big fight a month into our marriage was over trying to bake together our first Thanksgiving pie. Todd and I were only married a little over two years before we welcomed our first child, a son. We also joke we did everything backwards…married, then found employment, birthed a child, then bought the house. Thanks to a Realtor friend, parental encouragement, and a generous grandmother’s help, we bought our first house in California in the late 1990s before the prices went crazy. Five months later we brought home our second son. I consider the first two-three years after the birth of our second son to be the most difficult season of my adulthood to date. But it was during this time I learned lessons I draw on now every day. A number of significant events happened during this season that fundamentally changed the way I make decisions, relate to others, and believe life is meant to be lived. I didn’t know it at the time, but common to many young mothers, I suffered deeply from postpartum depression. I remember p-e-e-l-i-n-g myself off the bed with exhaustion to answer my newborn’s cry. I was often physically sick and unhappy. Because of other choices in my life during the time, choices many 20-somethings make such as living for other people’s expectations of them, etc., I remember literally shaking from fatigue as I drove my two young boys down the road. It took me a full year to finally drag myself into the doctor’s office and ask for help. The road to sanity and joy took awhile to find, but I finally did. Many factors contributed to the ultimate success of this season of growth including a supportive husband, helpful parents, doctors’ help, and letting go of toxic friendships. I feared a major set-back when I found myself pregnant again (surprise!). But I believe with all my heart God formed her, our one daughter, as a personal gift to all of us in this family. She is our sunshine. He knew how much we needed her. I cannot be motivated simply by money. I loved nurturing the home-fires and wanted to spend time earning money from home instead of away from it. If I was going to sell anything, it needed to be something I completely believed in. Now with an infant, preschooler, and our oldest in kindergarten, we began life as a schooling family. Suddenly, my days included packing lunches, carpooling, and fund-raisers. It was during this time I began to really wrestle with a truth I knew in the depth of my being. It may sound foreign to some of you, but I began to make a choice that more and more families at least in the United States make each year. It started when I didn’t enroll the preschooler in any formal program, but kept him home with the baby and me. And by the time my oldest was in first grade at public school, I couldn’t wait for the year to be over. When our second son was old enough to start Kindergarten, we began a lifestyle Todd and I knew we were meant to live: as the primary educators of our children instead of the State. We officially became “home-schoolers”. Todd and I didn’t believe we could school the children from our current home for a number of reasons. As the real estate market in California heated up right at the turn of the millennium, the economic culture of our little university town began to radically change. Moving from our tiny fishbowl tract-house literally sinking in the agricultural mud to something different within the town seemed impossible. Many of the newer homes our friends bought as their families grew were built on tiny lots. We wanted our sons and daughter to be able to play, explore, and roam outdoors. Despite the great fear so many parents live under these days of child abduction, we knew we wanted more for them, and our no-growth town couldn’t provide it. Besides, our hearts resided in the mountains with plenty of rain and snow, the pine trees, lakes, and creeks. I often tell people, “In fourteen years, we never got over the lack of natural beauty (in California’s Central Valley)”. So the summer of 2003, we moved 50 miles east to Grass Valley, California, a gold-rush town nestled in the foothills of the Sierra Mountains. One of our first house projects included baby-proofing the back deck that overlooked the creek that ran through the backyard. Yes, we missed our friends, but we were home. For three years, my husband continued to commute those fifty miles every day to the cubicle his company said he must occupy, despite his profession in Systems Administration. While he spent two and a half hours/day riding in a van-pool, I home-schooled the boys with a toddler or preschooler in tow. Our first year, my mother drove up once a week to help me. Thanks to a random conversation in a doctor’s office with the husband of my daughter’s preschool teacher and the prayers of my mother and father, Todd was hired to work locally beginning October 2006 in an extremely flexible situation for more money. We didn’t realize when we moved to Nevada County that it boasted more homeschooling families than any other county in the state. I did my research, made my calls, interviewed people I met and learned about the many opportunities for children in our area. We met many other families on similar paths, joined a co-op with about fifty of them and learned quickly how difficult it can be to stay home when one is homeschooling. It provided a great deal of friendships for our children and connections for me. Accepting help. Why I thought I needed to do it all myself is beyond me now. Especially from my mother, father, in-laws, and husband, I began to receive their care of time, money, and patience. Nurturing myself isn’t selfish, it is incredibly affective. When I sleep right, eat right, and make time to do what I really love to do, it’s amazing how well life works. And it’s the best gift I can give Todd and the children, when I choose a balanced life as often as possible. How to say no. Just today, during this writing, I said no to a free-lance offer and the chance to see a friend. But I was able to say yes wholeheartedly to another friend who wants to visit tonight with her new best-guy. 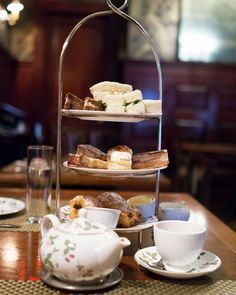 When I visited my first tearoom at the holidays in 2004, I experienced my first exposure to the beauty of a true afternoon tea. Between the warmth of the non-Victorian decor (not all tearooms decorate in pink roses), and many courses of food, it transported me. However, the deliciousness of the freshly brewed looseleaf tea and the feelings of serenity that overcame me during my time is what steeled a resolve in me to repeat this experience for myself and others over and over again. 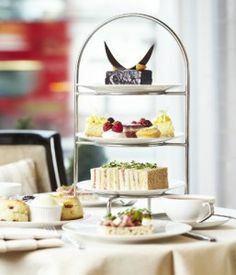 Despite tea parties as a child and with children of my own, however, I knew NOTHING about how to host an afternoon tea. I set out to learn everything I could so I could repeat this transporting experience in my own home. I didn’t need to look too far, as my mother started her own tea business during this time, Teaching Tea. 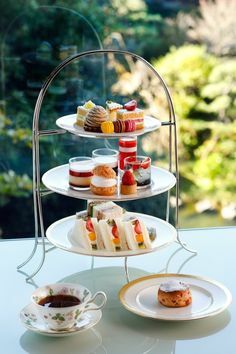 She answered many questions, allowed me to accompany her to different events, and feature her as a guest speaker for the first teas I hosted in my own home. I read books on tea, subscribed to magazines, gathered a few key tea-brewing items and began to tell my friends about my latest love affair. It wasn’t long before I was drinking a tremendous amount of tea everyday. 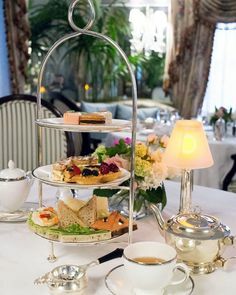 I would brew black tea first thing in the morning, a green tea during mid-afternoon, and a rooibos after tucking the children in for the evening. Sometimes I would run out of tea and realize there was nowhere to go and buy more at a moment’s notice. Since then, I discovered a few places, but at the time, I thought my only options included grocery store teabags and the tearoom I’d visited with limited hours a distance away from my home. It was like wanting gourmet coffee beans twenty years ago. One couldn’t enter any grocery store or corner coffee bar and find what they wanted. This would never do! So I began selling looseleaf tea so I could drink as much as I wanted. I evangelized everywhere I went, bringing tea to events, meetings, parties, etc. and sharing it with whomever would take it. I found fellow lovers of tea in my circles. I also quickly learned that despite the world drinking tea more than any other beverage besides water, many people have not tasted great tea. We don’t know how to brew loose-leaf tea (or even where to purchase it!) nor own the needed equipment in our homes. One friend burned out the bottom of an heirloom teapot of her grandmother’s because she didn’t know the difference between a teapot (for brewing) and a teakettle (for boiling). I wrote up detailed brewing instructions to pass out with the tea I sold and added basic tea-brewing starter kits to my sales. In the summer of 2006, I took my passion one step further and enrolled in an on-line course at www.StartaTeaBusiness.com. 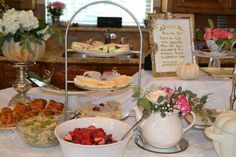 Originally, I enrolled because I thought I wanted to start my own tearoom. I understood, however, that owning a traditional tearoom meant committing to the restaurant business and I didn’t want to do that. Gratefully, the course delivered exactly what it promised to: an introduction to all the places a passion for tea could take a business besides opening a traditional tearoom. Through this entire process, my inner compass continued to pull north with the magnet of my children. With my oldest son now ten, I began to believe the mothers I used to want to punch out; time was moving quickly and before I knew it, they’d be gone. If I was going to launch any kind of business, it needed to stay home-based. Despite many tea business ideas that formed, I chose to pursue an Internet-based tea business. Trying to grow a local business meant too much time and energy away from the home-fires. My previous experiences reminded me I did not want to build something apart from my family, but with them. 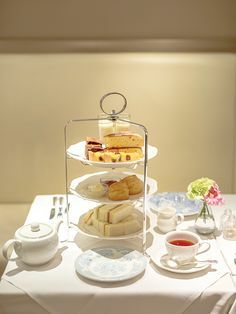 Meet me for tea at three.